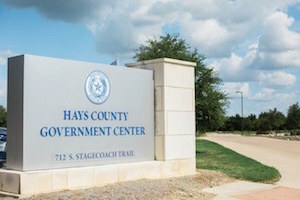 Hays County is home to more than 157,107 residents scattered throughout the cities Buda, Dripping Springs, Kyle, San Marcos, Mountain City, Wimberley, and Woodcreek. The county sits on the Edwards Plateau in Texas, and was named after John Coffee Hays, a Texas Ranger and decorated officer during the Mexican-American War. The family law attorneys of the Lyttle Law Firm are committed to helping residents in Hays County resolve their family law cases. Our many years of serving clients in the Greater Austin area have taught us that family law matters are rarely smooth or easy, even under the most ideal of conditions. More often than not, family law problems have dramatic effects on people’s lives, changing relationships forever. At the Lyttle Law Firm, Austin family law lawyer Daniella Lyttle has handled the family law matters of clients in the Hays County area, including the city of San Marcos, treating each case with utmost in sensitivity and attention to detail. Divorce - Couples that file for divorce in Texas need to have resided in the state for at least six months before filing the petition. These cases usually involve child custody, child support, spousal support, and division of property. Annulments – In some cases, we recommend that our Hays County clients consider an annulment instead of a divorce. An annulment nullifies the divorce, effectively erasing any record of the client having married. Division of assets – Texas is a community property state, which means that all assets and income acquired by either spouse while married are considered community property belonging equally to both spouses. In a divorce, these assets, as well as all debt incurred during the marriage, are divided equally, unless a different split is found just. Child custody – Child custody can be one of the most complicated aspects of family law. When courts are left to decide on the custody of children, they will ultimately rule based on the children’s best interests. With a family law lawyer, parents seeking legal custody can fight for the right to make decisions about the child’s welfare and education. Prenuptial agreements – The Lyttle Law Firm also helps couples in Hays County draft prenuptial agreements, which can outline how the property will be handled should the marriage end. Family law cases can have a dramatic impact on your relationships with your children and spouse. It can negatively affect your finances and take away property in ways you have little control over on your own. Your chances of resolving your case smoothly are drastically better when you enlist the representation of a family law attorney. Contact the Lyttle Law Firm today to schedule a consultation with Daniella Lyttle on how to handle your case for a positive resolution. We represent clients in Hays County, as well as Travis, Williamson, Caldwell, and Bastrop Counties. Call our offices today at (512) 215-5225, or use our contact form to schedule an appointment.